A former Democratic U.S. senator from Louisiana has been helping to get an oil pipeline approved while lobbying for a government entity that must sign off on the project before construction. But she’s also a paid consultant for Energy Transfer Partners, the majority owner and operator of a proposed crude oil pipeline, which needs CPRA approval before completing the last leg of the project. 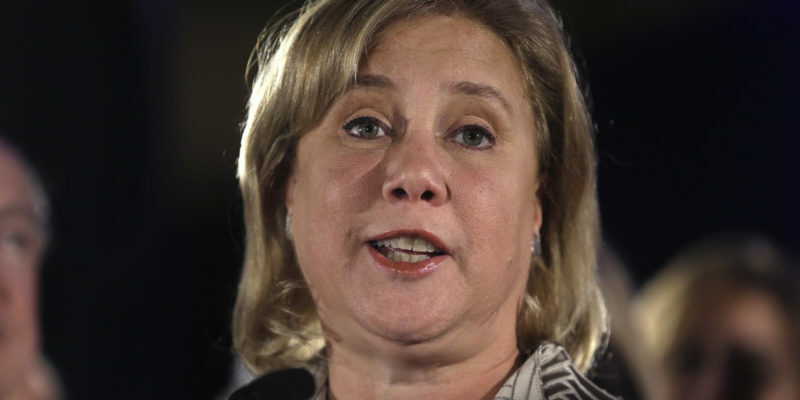 Landrieu, who has a history of supporting the oil and gas industry, told an angry crowd of Louisiana residents that pipelines are currently the best way to transport crude oil. Shifting away from fossil fuels “might happen one day, but that is not today, so the question before us is how to move this product as carefully as possible,” she said in her role as an Energy Transfer consultant at a Baton Rouge permit hearing on Thursday. Meanwhile, as an Energy Transfer consultant, she’s been making the case for the pipeline’s completion. In January 2017, she began testifying on behalf of Energy Transfer Partners. In February, Landrieu wrote an opinion piece for The Advocate explaining her support for the pipeline. This sounds like a juicy bit of corruption, but it really isn’t. To believe Landrieu was doing something wrong, or that there was a conflict of interest, you’d have to know that CPRA opposed the Bayou Bridge pipeline. And it doesn’t. An oil pipeline, particularly one inshore, doesn’t have anything whatever to do with the integrity of the coastline – the only argument one might make to that effect would be that since it moves crude oil to refineries it would cause carbon emissions and thus global warming and thus sea level rise. Tell that to the people living near the proposed route of Bayou Bridge, who are going to see low temperatures around 20 degrees tonight. Obviously Mary Landrieu, good Democrat that she is, isn’t too persuaded by that argument. Neither is the regulatory agency she lobbies for. Nevertheless, it’s definitely interesting that Landrieu is CPRA’s lobbyist. After all, what’s a Democrat, whose deciding vote gave us Obamacare, doing lobbying a Republican Congress and the Trump administration to get Louisiana appropriations for coastal protection? Wouldn’t somebody like Billy Tauzin or Bob Livingston be a better choice for such a gig? The answer to that question being that John Bel Edwards isn’t going to have his administration’s dollars spent on Billy Tauzin or Bob Livingston. He’s going to hire Democrats for those gigs wherever he can – even if that means shoveling money to the Landrieu family, as much as he and Mitch Landrieu don’t get along. But it’ll be interesting to see how much of a mess it turns out to be that Mary Landrieu is seen to have a conflict of interest working for Energy Transfer Partners on Bayou Bridge while catching a check from the state for CPRA work. For our part, there are more persuasive stories of corruption and conflicts of interest than this, but it’s one more example of how the Edwards administration is busy making sure all the taxpayer loot stays in the family.